Dan Cote, of Conservation Services Group, has been working for about four years — in his spare time — on a full gut-rehab of this 1912 bungalow in southwest Portland, Oregon. 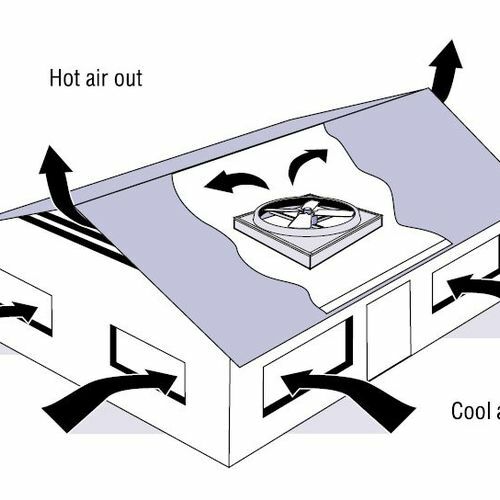 His goal is to make it both energy- and resource-efficient. An exciting aspect for Dan was that he could see how some of the principles of building science that he used at work played out here in his own home. He also realized that he could he have done certain things differently if he had given them more thought. Exterior Foam: Concord, Mass. 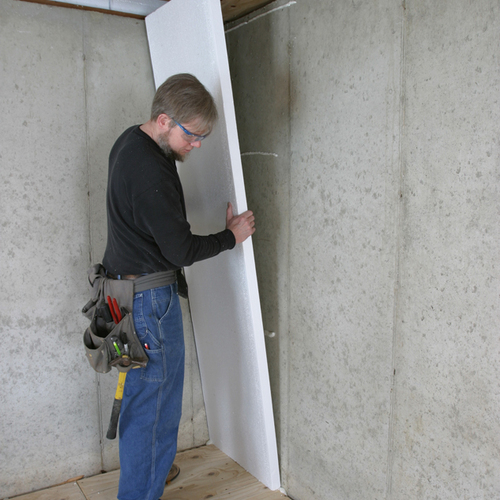 Open-Cell Spray Foam: Dallas, Texas Affordable LEED: Westford, Mass. 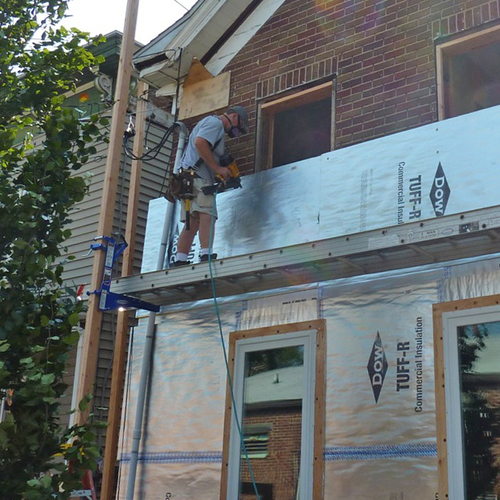 Spray-Foam Retrofit: Brattleboro, Vt.
Dan wanted to achieve three primary goals in this gut rehab. The first was deep energy efficiency. He also wanted to showcase resource efficiency by reusing as much material as he could. An example of this can be seen on the kitchen floor, where he inlaid a mosaic of odd tiles that he picked up second-hand for a striking detail. All of the kitchen cabinet framework was built out of scrap 2x4s from the jobsite — all old-growth fir. Dan’s third goal was to ensure good moisture management, to which he devoted many details — details that were especially tricky where water meets building. “We’re standing out here on the west side of the house, and what we’re looking at is where the wood framing meets the concrete foundation. This foundation wall is 6-inch, concrete poured, but it has no footing; it only goes about 20 inches below grade. So we came in on the inside and we dealt with some moisture issues by using spray foam on the foundation. 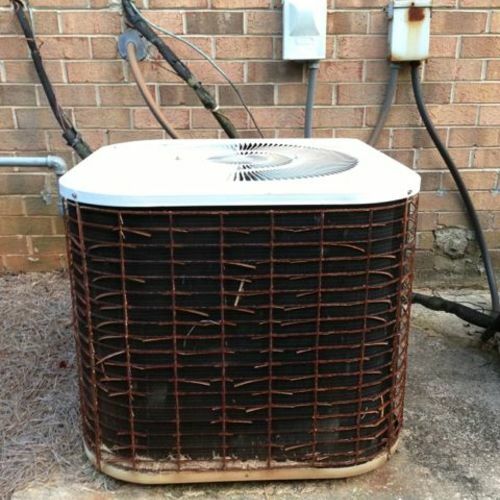 “On the outside of the wall, we’ve come in and we’ve added a 3½-in. concrete wall that drops down and actually has a footing below it. We anchored that wall to the building, both with epoxy and rebar, into the building, but also with these earthquake straps that anchor into the concrete and into the footing as well. 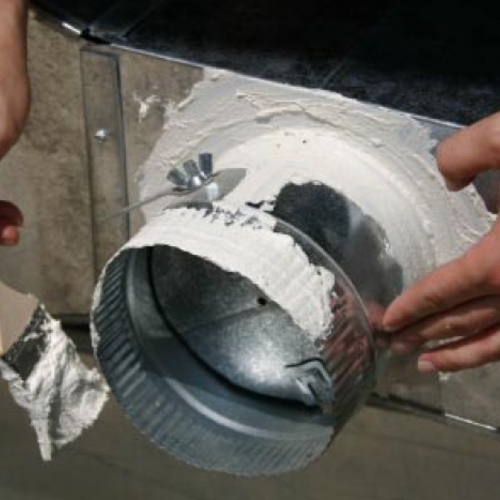 “Once we had all that solved, we needed to come in and deal with the exterior moisture. We get a lot of rain here in Portland, and having some groundwater management’s going to be really important. “So we’ve got a poly belly here that we’ve put in place. We’ve filled in a little bit of backfill to get the slope we needed, and then we put this poly belly in place. We’ve got some stone in here to help a little bit with the drainage, and this runs all the way to daylight by the front of the lot. Then we come back in with a drainage pipe, and a silt sock around that drainage pipe, and we’ve got that all set in place, and we’ll be able to backfill here pretty soon. “Now what we’re looking at is some transition between our rainscreen and our corner boards and our foam. On this inside we actually have some high-density spray foam inside the 2×4 cavities. 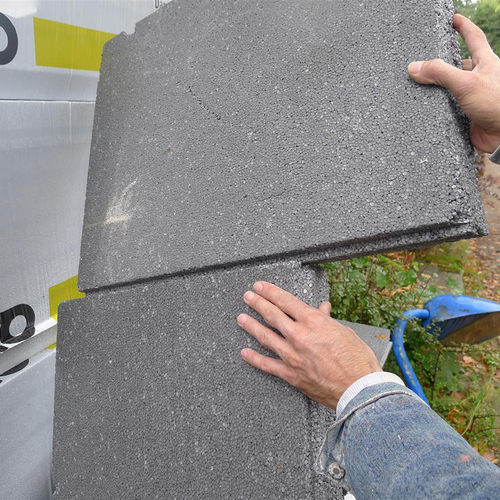 Had I decided to do this high-density foam and deep-energy retrofit earlier in the process, I would have gone with the dense-packed insulation instead of the low-permeance foam that’s in there. Because that’s a low-permeance foam and I’m wrapping the building with something that’s reasonably low-perm, we really have to be careful about these moisture details and keeping moisture out of these walls. “OK, so here we are now on the north side of the building, and this corner — we get a lot of weather, especially during the winter, on this corner, so there’s a lot of detailing that needs to be considered. In addition to that, we have an area of the building where we decided not to remove the shingles. They were reasonably new, and again, I had made this decision to add foam late in the process. So we came in and we needed a detail to transition our old wall assembly to our new wall assembly, and we had to do that with a custom flashing up above that was kicked out and sloped, and it’s going to cover our entire new wall assembly as it comes down. “We also ended up understanding where this water’s going to go, which is down. We have a funny detail in this corner where this roof assembly meets the wall as well, and so we have to build a kick-out detail to deal with water that might want to get come in and get in behind this foam and this corner. We’ll actually add a second kick-out here to further manage that water so that the bulk water gets away from the assembly. If water does get behind there, we still have our primary drainage plane all the way in the back of the wall to manage that moisture down through the assembly. “Trimming out these windows is always a tricky detail. We have — this window was already previously installed before we got to this point, so we had a flange that we had built in and a pan that we connected to when we added the housewrap. Then everything was closed off and counterflashed and that seam taped up above. 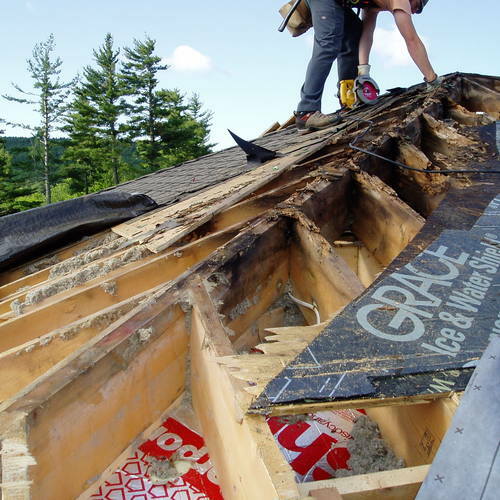 “As we work our way down the assembly here, we get to a situation where we have what I’m kind of referring to as my secondary drainage plane, which is really water that gets behind the siding is going to hit this rigid foam, and it’s going to work its way down the building. And so we’ve put in this little Tyvek Z-flash we created out of a short roll of Tyvek we cut together, and that’s going to allow water that runs down these faces to just kind of move away, or that runs down or that gets possibly behind a vertical seam.